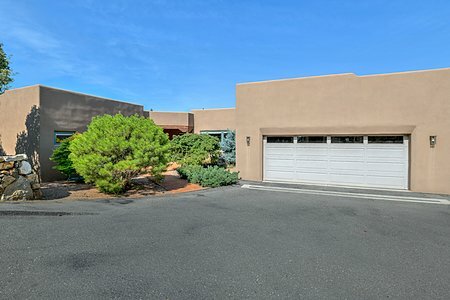 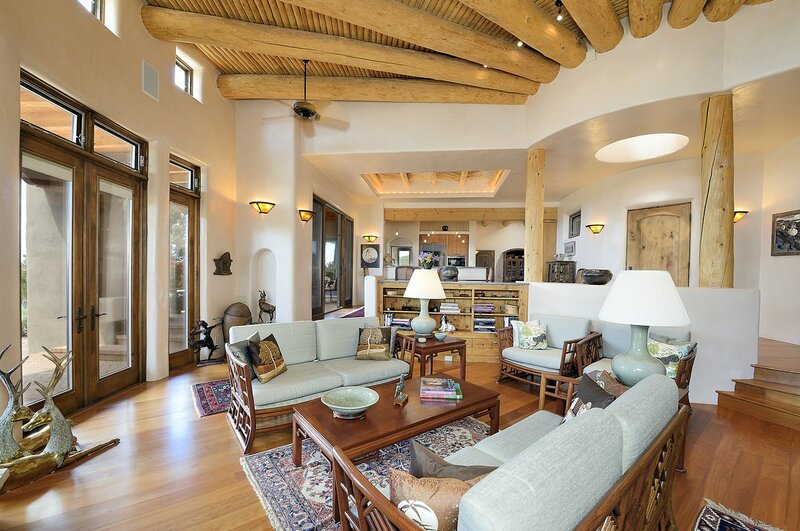 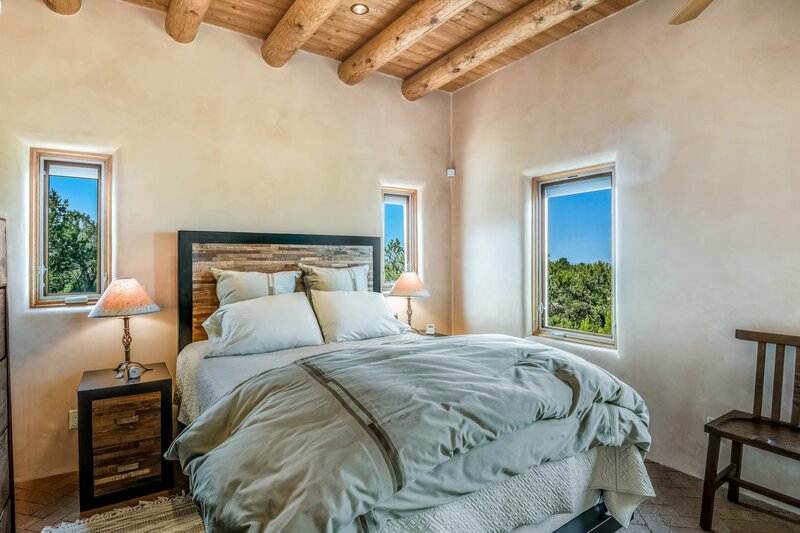 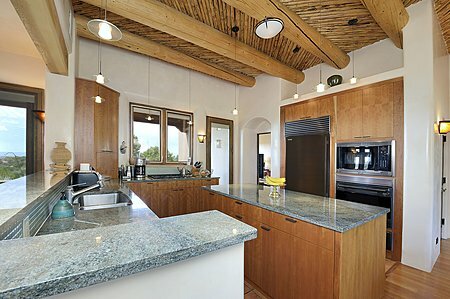 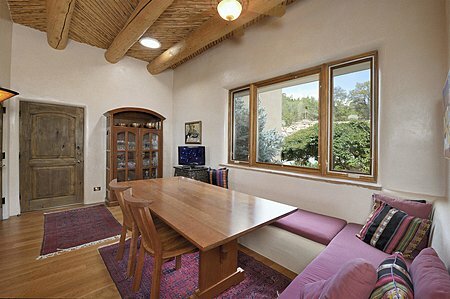 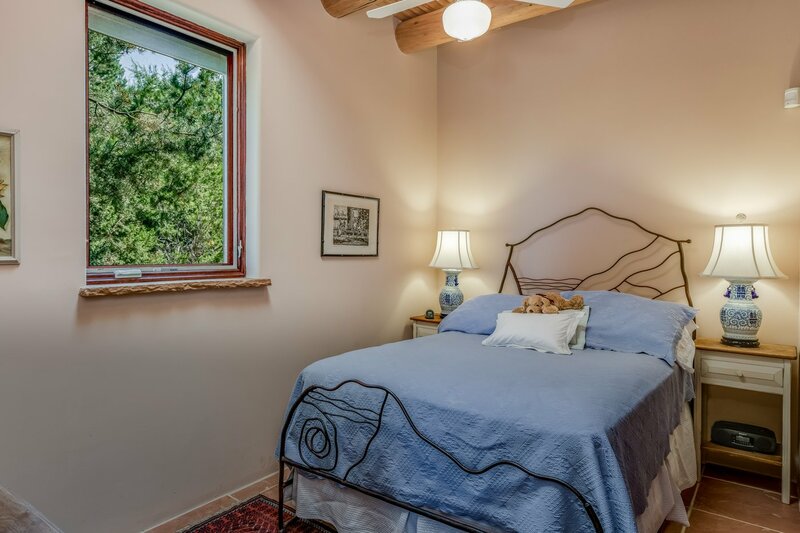 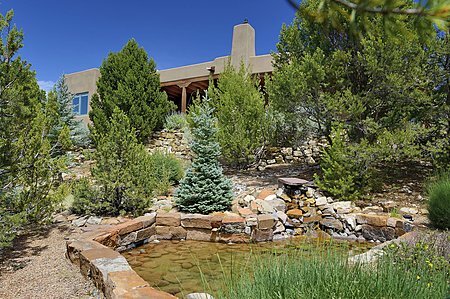 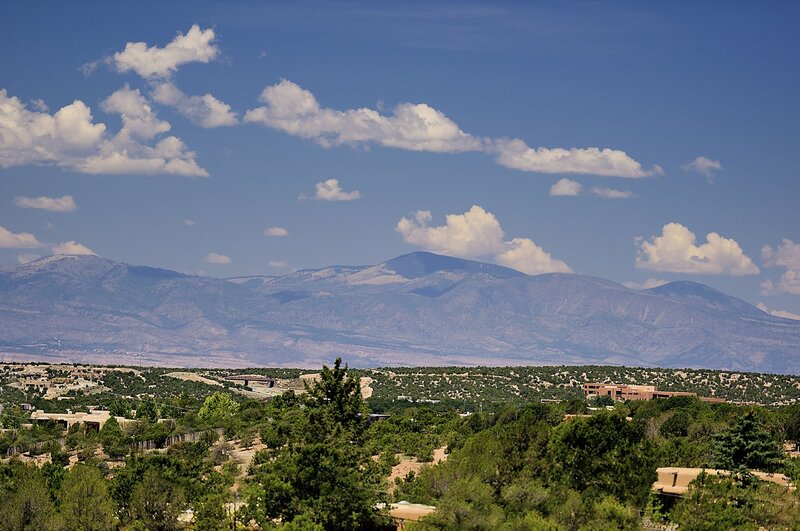 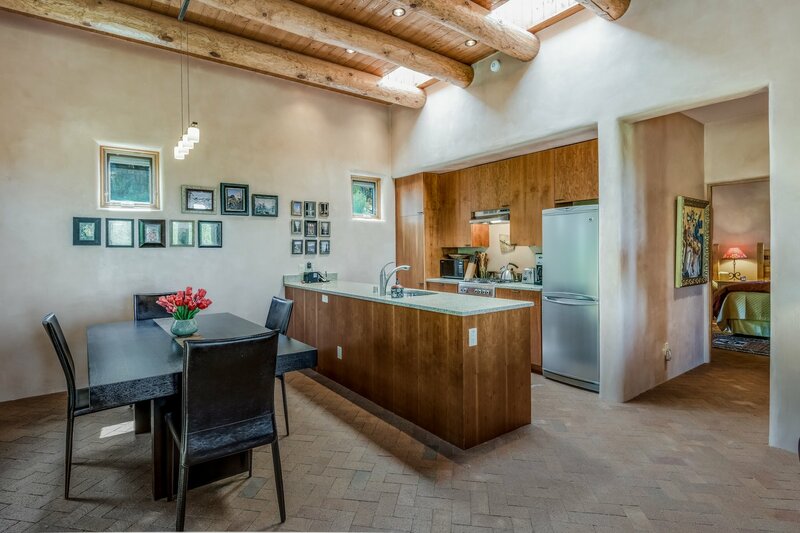 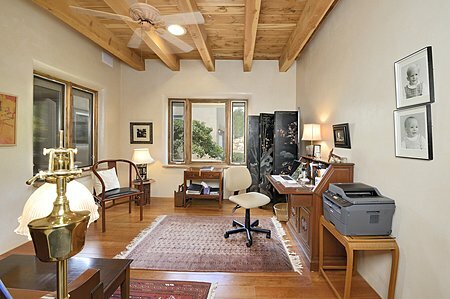 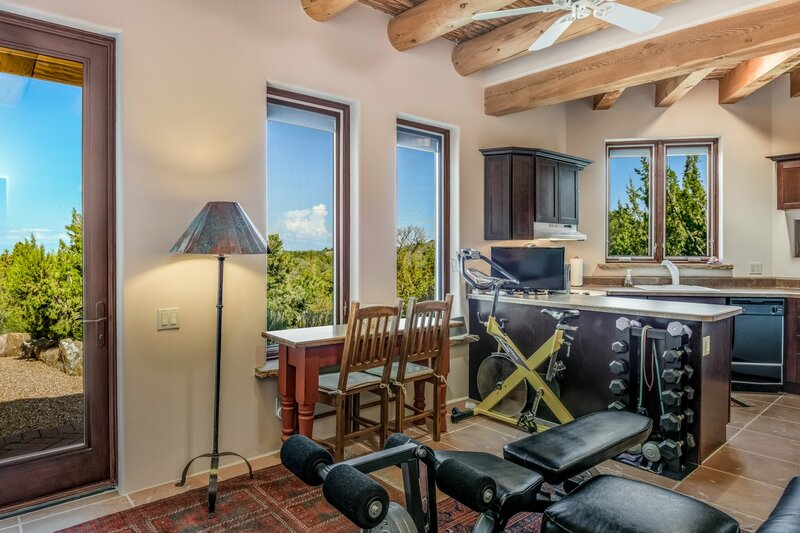 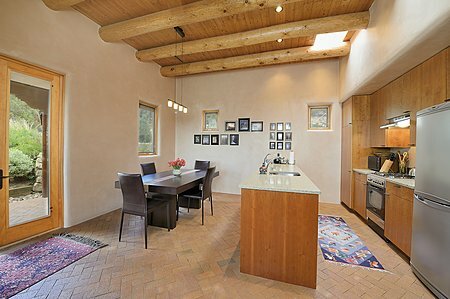 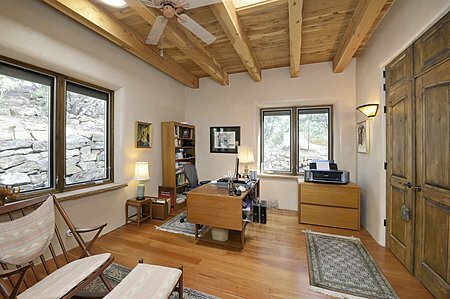 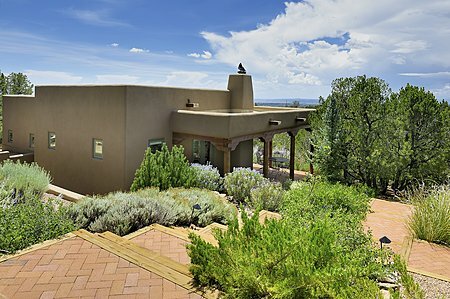 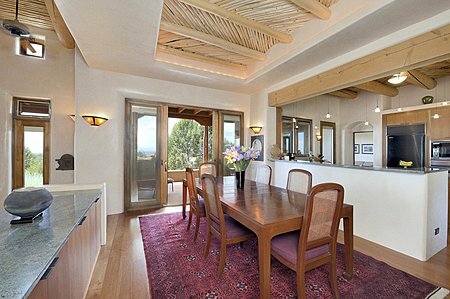 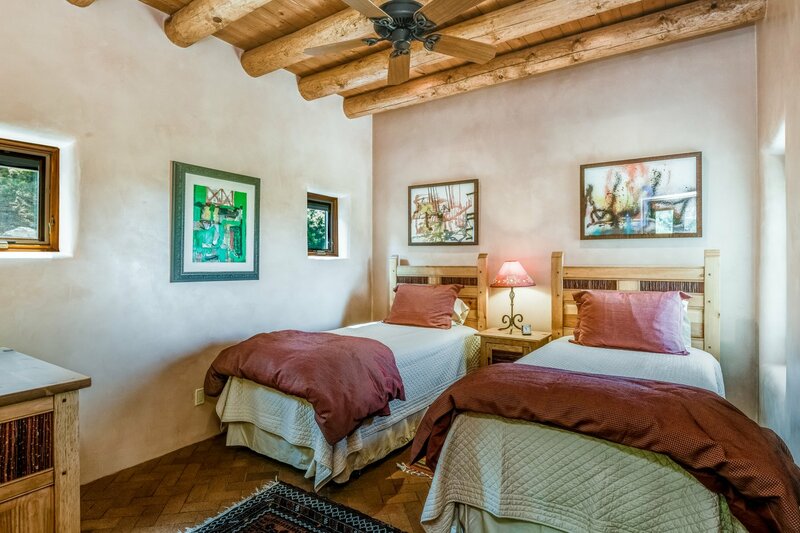 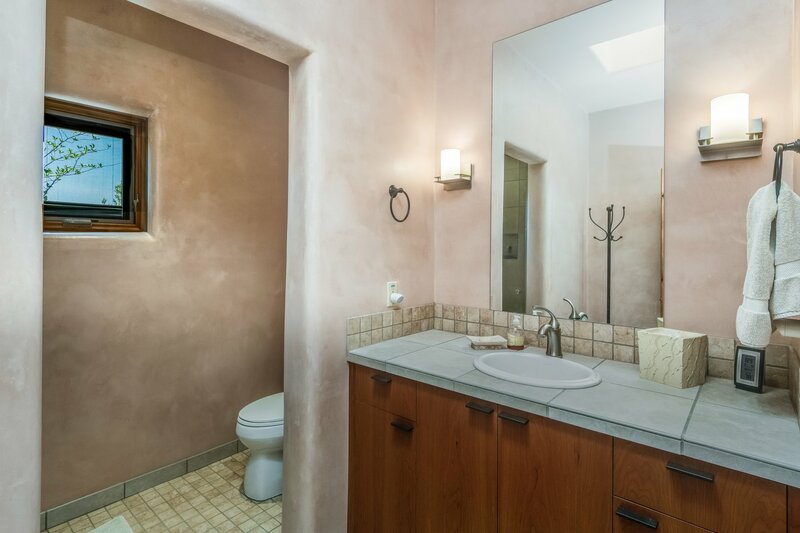 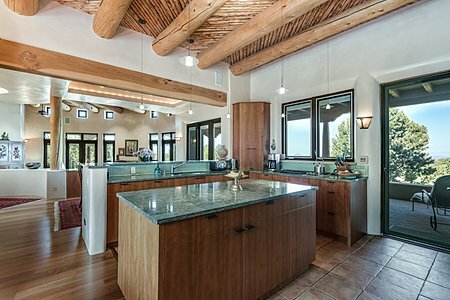 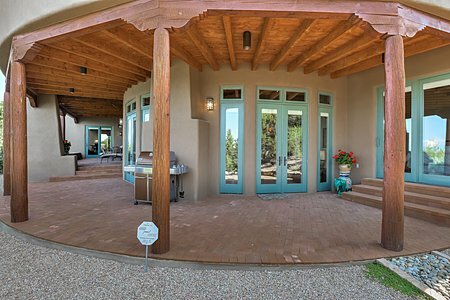 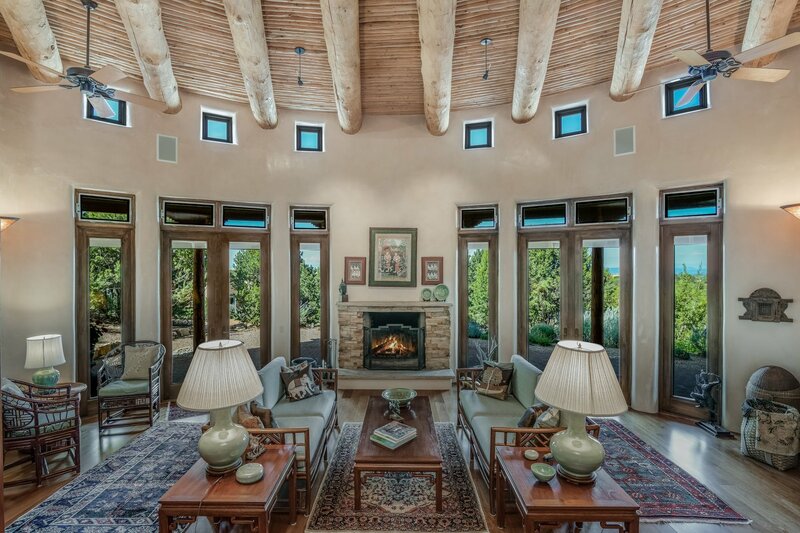 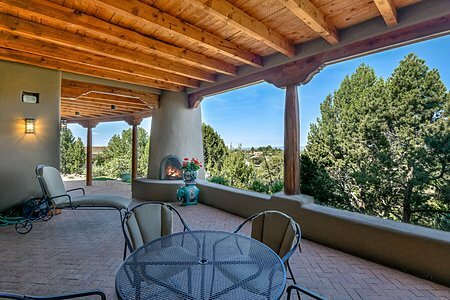 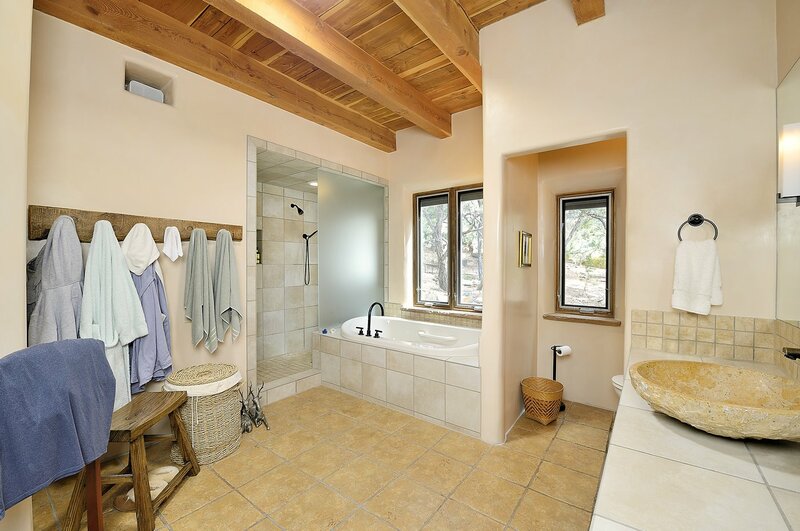 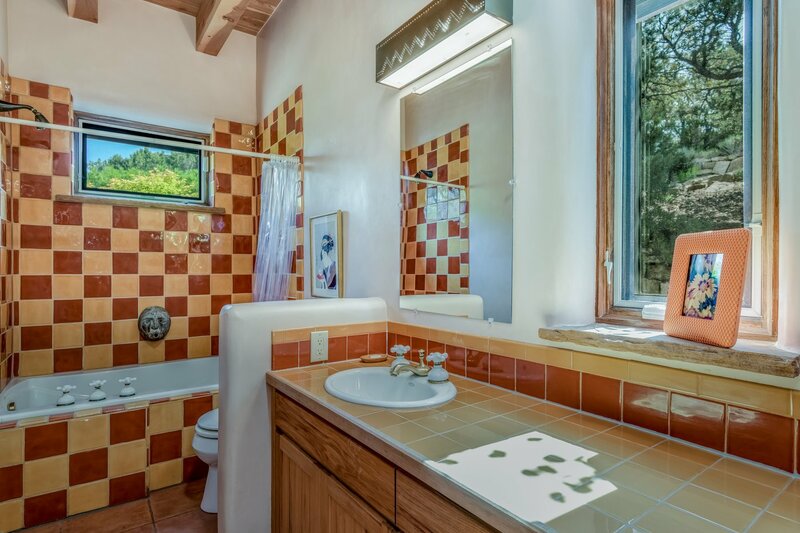 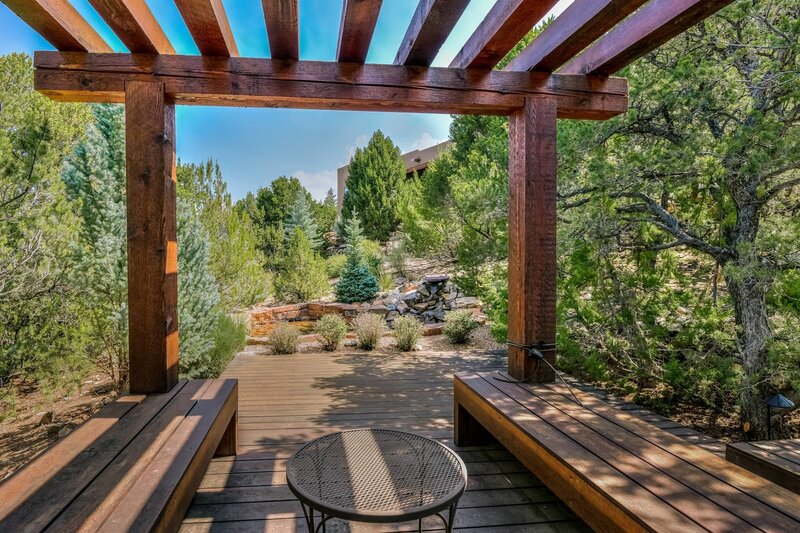 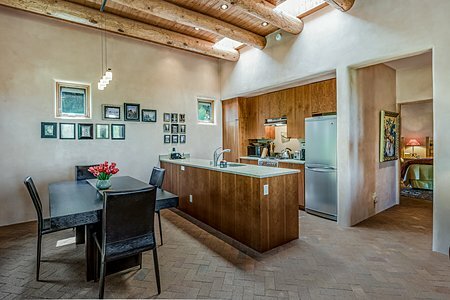 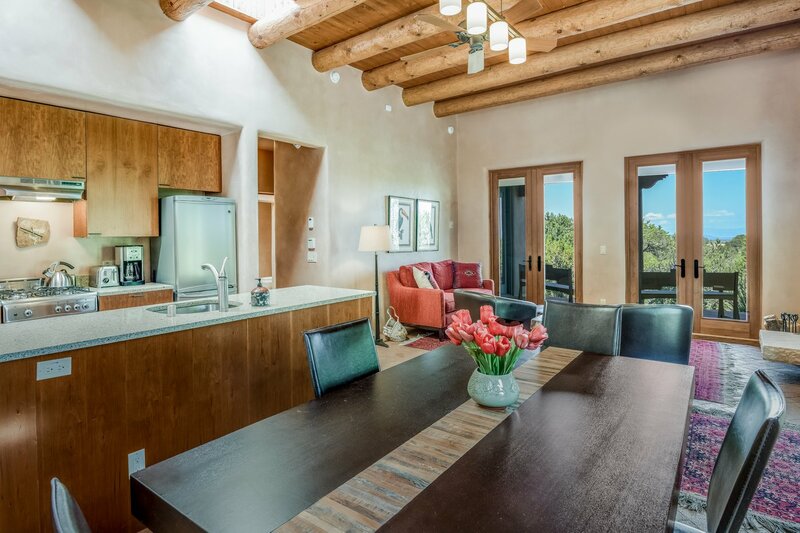 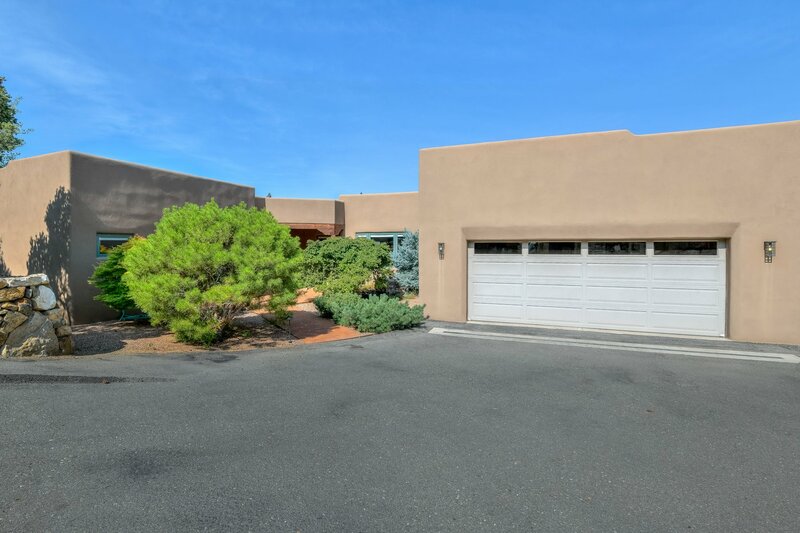 The appeal is evident in the street name for this 6 bedroom, 5 bath home and guest house with spectacular views on about 1.25 acres in the foothills above Santa Fe. 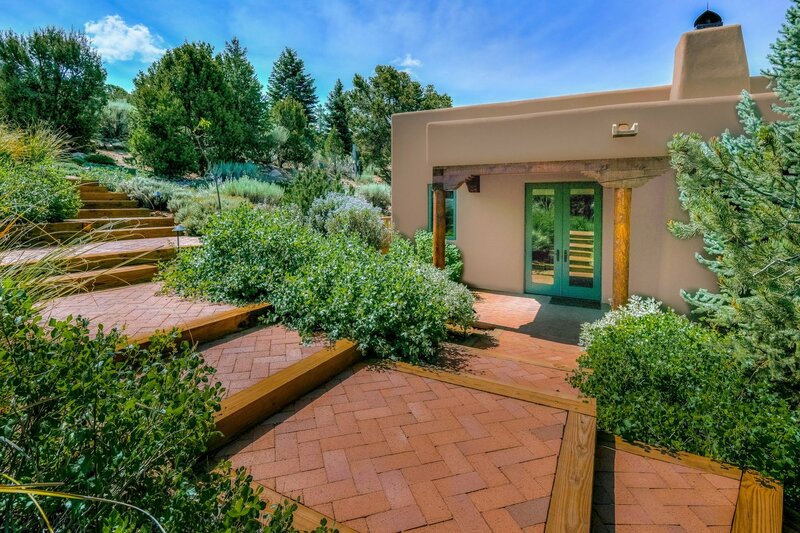 Live in the peace and tranquility of this elegant mountain home with its dramatic entry featuring a brick sidewalk and a stone water feature. Inside the 3400 sq ft main home, the warmth of wood is everywhere including ceilings with vigas and latillas, stunning wood floors and built-in shelves. 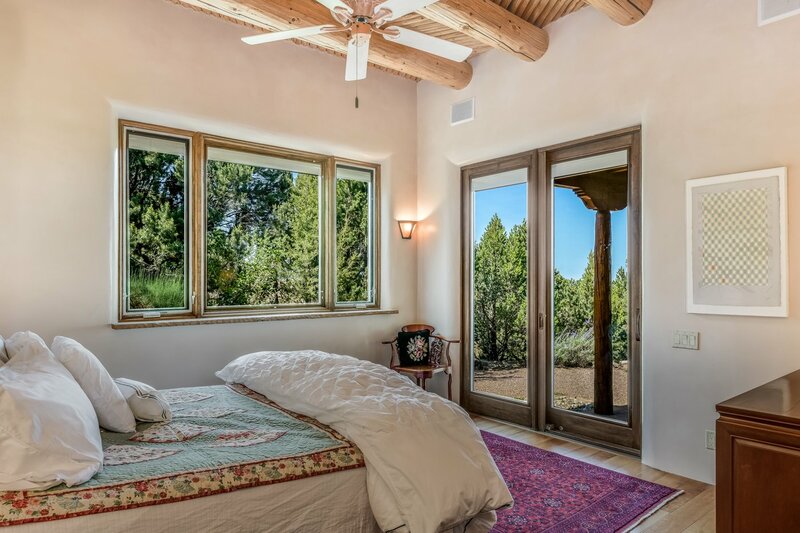 Pella double and triple pane windows and doors with inset screens and shades have been installed throughout. 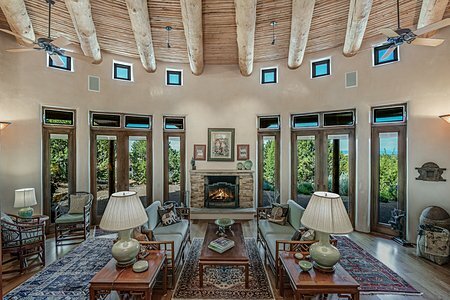 Just outside the open and inviting living room, there's an expansive semi-circular portal with endless views from this hilltop retreat. The home has a wired sound system with outdoor speakers on the patio. 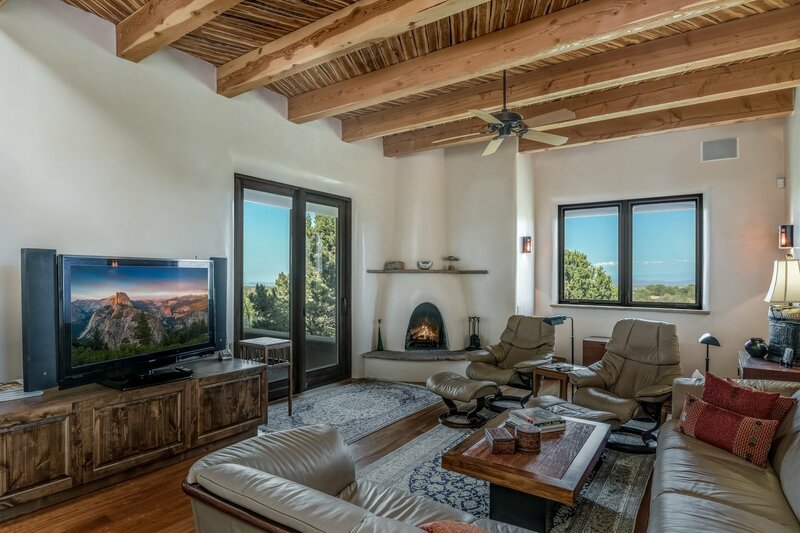 Three fireplaces and radiant in-floor heat will keep the winter chill away. The spacious master suite has a well-appointed bath features a Bain Ultra Thermo Masseurer air tub and a Toto washlet. A fully equipped kitchen, with high-end appliances added in 2008 including Wolf range and oven, Bosch dishwasher and Sub Zero fridge, gorgeous wood cabinetry, and a granite-top center island, is a cook's dream. A tankless hot water heater, drip irrigation, security system, and rainwater harvesting system help make this house energy efficient. 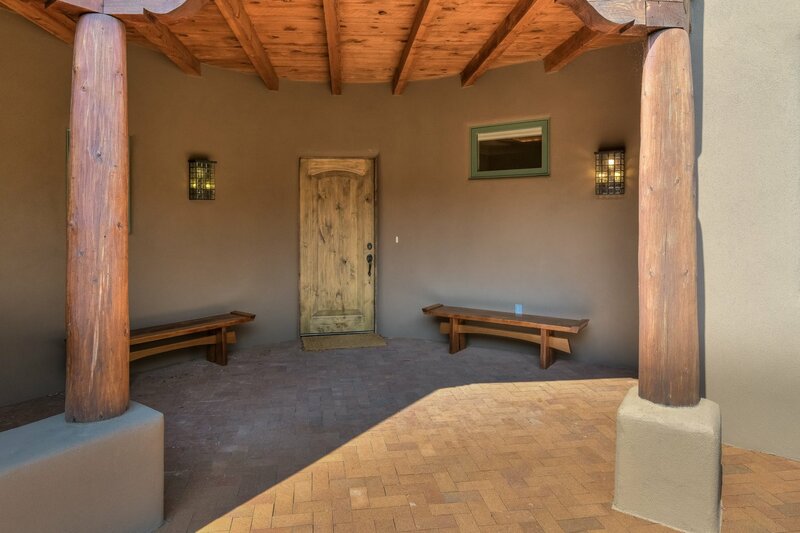 Roof and stucco was redone in June 2014. 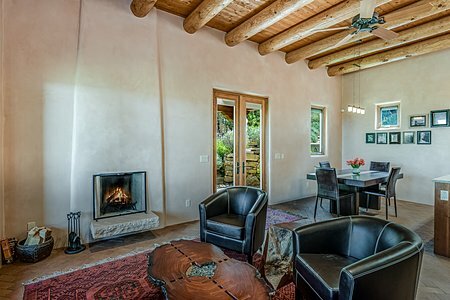 The separate 2 bedroom 1 bath guest house with about 1000 sq ft, was built in 2008 and has a fireplace of its own, a gazebo, and pond.